140 pages | 125 B/W Illus. This is the first book to summarize research and clinical methods used for treating bipolar disorders across the life cycle. The author discusses all DSM-IV Bipolar Disorders and disorders similar to Bipolar Disorders. He includes easy-to-read summaries, numerous informative illustrations and an outline of "best practice methods" recommended by research and expert panels. The book also introduces research suggesting that some cases of Bipolar Disorder may occur from an in utero neurovirus or other obstetric-linked problems. 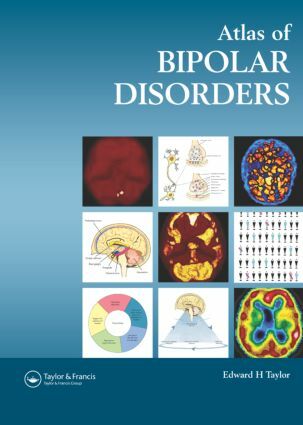 An Atlas of Bipolar Disorders outlines what is known and what remains to be discovered about the neurobiology of each bipolar disorder. What Is Manic Depressive Illness? Epidemiology. What Causes Bipolar Disorders? The Neurobiology of Bipolar Disorders. Diagnosing Bipolar Disorders Across the Life Span. Treating Bipolar Disorders. Economics.